Caspians are unique miniature horses. Along with the Przewalski’s horse it is probably one of the most ancient breeds in existence, and is thought to be the forerunner of the Arabian, which it resembles. 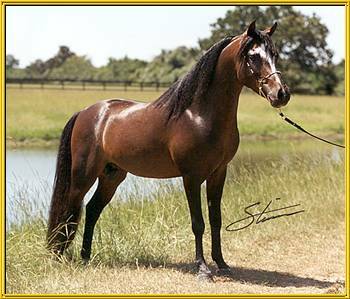 Thankyou to Chuck and Francie Stull of Kristull Ranch, Austin, Texas for sharing this photo of their lovely stallion.